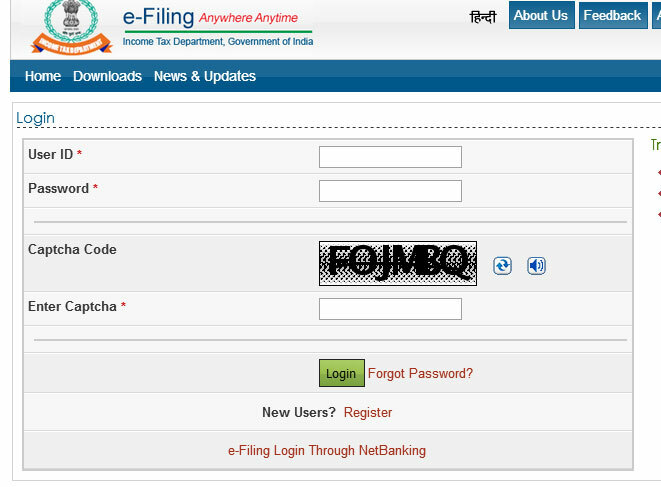 If you are looking on how to login or sign in to the official website of the Income Tax Department of India, then we can tell you how to login at Income Tax Efiling Website. Then proceed towards Registration Form, enter all needed details and then Registration Verification appears. After the verification is completed, a message will be displayed "Registration Successful". Click on Login Here button link at the right of the screen. 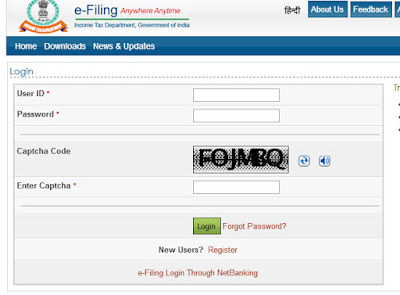 Enter your User ID, password, Date of Birth and Captcha Code. The user ID is your PAN number. 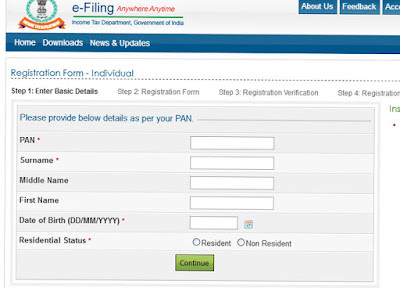 After successfully logging in, you can see your personal details, file your ITR or check the status of your already filled in ITR.